I hated Vietnam when I first arrived. That’s not what I’m supposed to say is it? In fairness, my repulsion probably had little to do with the country itself. I think it had more to do with the fact that my first night there was a disaster. So I’d just arrived fresh-faced (code for hot and sweaty) from Myanmar, and my first simple task of the day was to withdraw money from the cash machine. Well, that seemingly innocuous task turned out to be anything but simple. The cash machine ate my one and only bank card. Moreover, the $80 worth of Myanmar currency that I still had on me, was not accepted by any of the half a dozen currency exchanges in the airport. So after pleading with the airport staff, they assured me my card would be returned the very next day. My only saving grace that night was that I still had $25 left from the US currency I had obtained for the Vietnam visa fee. Unfortunately, this meant that the taxi I ended up climbing into ripped me off by about $8, leaving me with no money to pay my hostel bill. After an unpleasant verbal exchange and lots of cursing between myself and the Taxi Driver From Hell, I stumbled into the hostel in a deep, dark and scary mood. I then tried to explain the situation to the ‘friendly’ hostel worker who was more interested in selling me tours than in acknowledging my situation. My mood worsened. Thankfully it was one of those hostels where you settle your bill at the end. In the hostel room itself, two Muslim women from London and an Italian lady soon got me smiling again. And true to their word, the airport workers rang the next day and told me my card had been rescued and was ready to collect from a nearby bank, so all was saved in the end. But I still hadn’t warmed to the country yet. 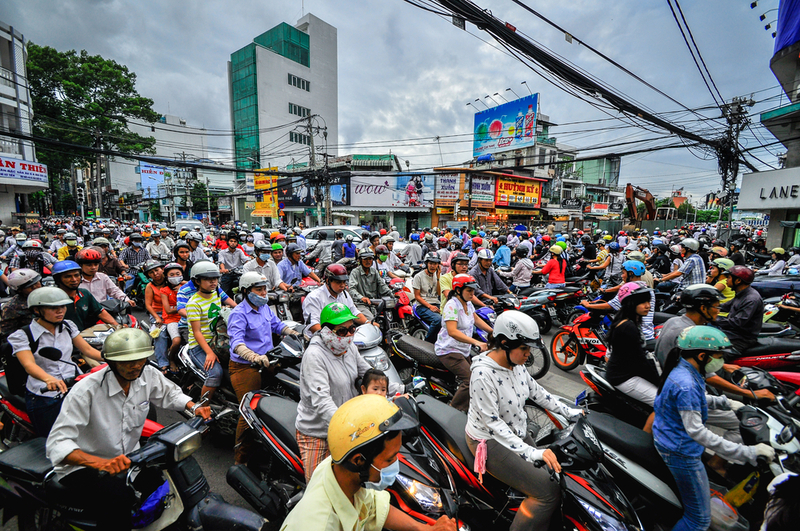 I was in Ho Chi Minh City and all I could do was observe the surrounding chaos. The roads were an unholy gridlock of motorbikes, cars and more motorbikes. There were a few token traffic lights but nobody paid any attention to them. 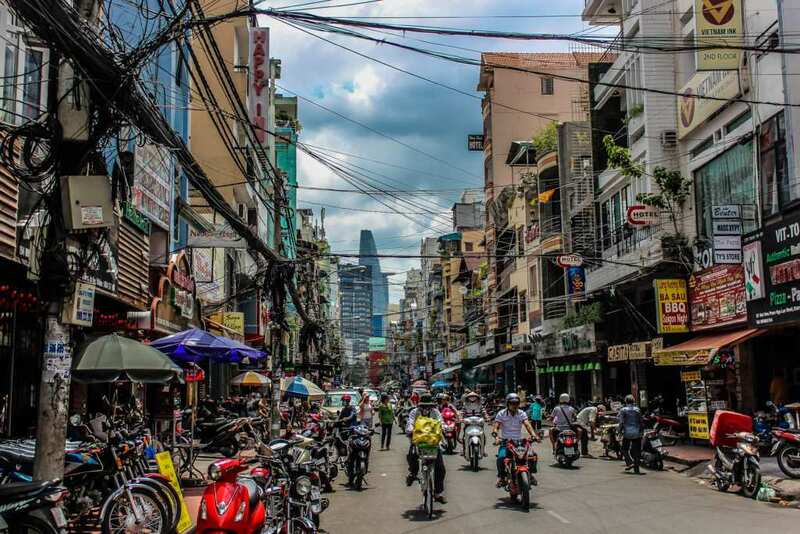 What I was soon to learn in Ho Chi Minh and indeed in other cities across Vietnam was that you don’t wait for the traffic to stop before you cross the road. What you do is cross the road, directly into oncoming vehicles and walk slowly so that they can try and work their way around you. If all else fails, wait for a local to cross first and work up the courage to walk with them. Sound crazy? You have no idea. Ho Chi Minh is a hot mass of museums, temples, churches and markets. Old colonial buildings and derelict, overcrowded apartment blocks stood side by side in the craziness that ís Ho Chi Minh. And yet this city has nothing on Hanoi. During my time there, I visited the War Remnants Museum, which recounted the brutality of the Vietnam war and Ho Chi Minh museum, which is dedicated to the late Vietnamese leader Ho Chi Minh and Vietnam’s revolutionary struggle against foreign powers. 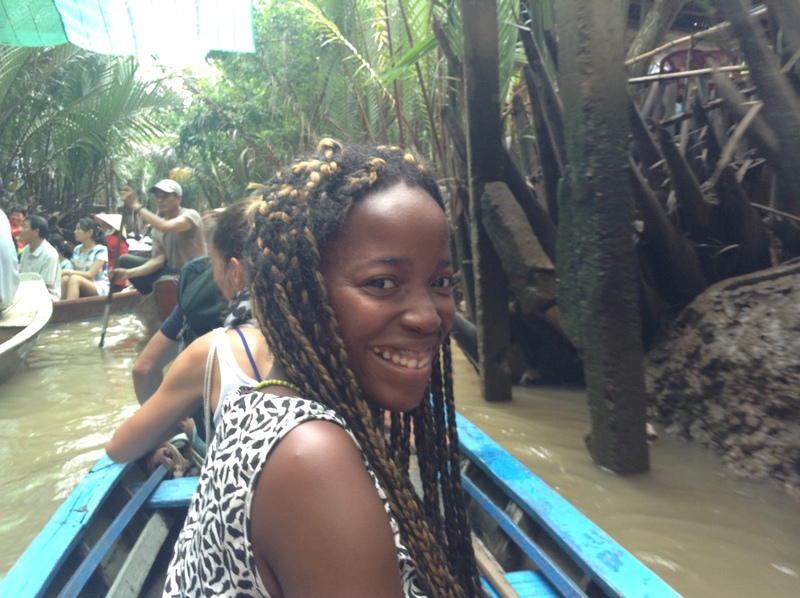 I also took a tour of the Mekong river. The cost for the day was $12 (which equates to 267,000 Vietnamese Dong). The tour included visits to temples, pagodas, a beehive and a coconut factory that produces a number of different coconut products. 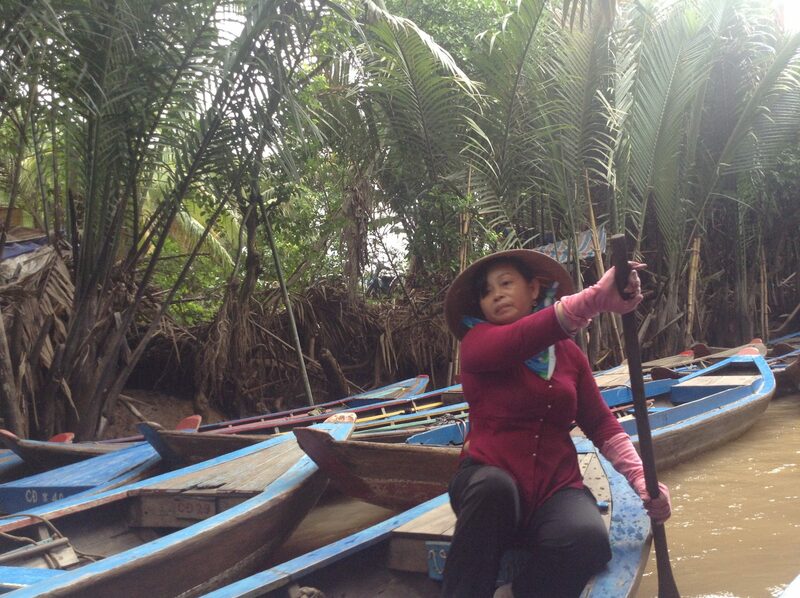 It also included a trip to a local village, a traditional folk performance and a short cruise along the Mekong river. While the day was certainly very pleasant, it did feel like a little bit of a tourist trap and the time allocated for each activity was usually no more than 20 minutes. 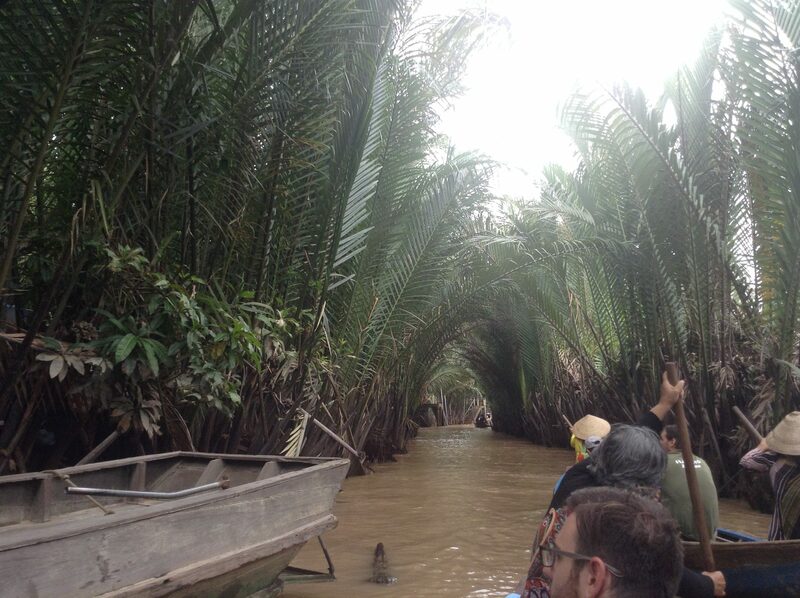 In all honesty, if you can find a more independent way to visit the Mekong Delta, I’d recommend you do that instead. But don’t get me wrong – I thoroughly enjoyed that peaceful cruise on the river and it helped me to relax after the chaotic start to my journey. So I guess in a way, I found peace on the boat – even if it was a little touristy. After Ho Chi Minh, I travelled to Hanoi partly as a tourist, and partly to teach English. Travelling from Ho Chi Minh to Hanoi really gave me a sense of how big the country is. It was a two-hour flight, but if I wanted to travel by bus it would have taken 3 days. Vietnam is a very long, thin country and it can days to get from one side to the other on public transport. END OF PART ONE…PART TWO COMING SOON..